Casting is well under way for the 2018 Han Solo Star Wars: Anthology film from directors Phil Lord and Chris Miller (The Lego Movie, 21 Jump Street). Variety is reporting that Lord, Miller, and producer Kathleen Kennedy have narrowed down the list of contenders to about a dozen actors (down from the 2,500 who auditioned). According to Variety, "Miles Teller, Ansel Elgort, Dave Franco, Jack Reynor, Scott Eastwood, Logan Lerman, Brooklyn star Emory Cohen and Everybody Wants Some actor Blake Jenner (are) among the names making the cut." Variety also suggests that the young Han may make a cameo in this year's Rogue One: A Star Wars Story before starring in his own film, however this seems unlikely (given that Rogue One takes place directly before A New Hope, whereas the Han Solo film is slated for ten years earlier. Not to mention it seems unlikely that Han would have anything to do with the Rebellion before meeting Luke and Obi-Wan in the Mos Eisley Cantina). The Han Solo Anthology film (or "Hanthology", if you will) is slated for a May 25th, 2018 release. The film is directed by Lord and Miller and is written by legendary Star Wars writer Lawrence Kasdan, who co-wrote The Empire Strikes Back, Return of the Jedi, and The Force Awakens, and his son Jon Kasdan. Not a very inspiring list. Pretty much the same list that goes around for most young male genre roles. Anthony Ingruber...... no one else needs to be thought of other than Anthony Ingruber. If you have not seen him on youtube do it now and look for his Han Solo impression. He is absolutely the guy. Anthony Ingruber - he has the looks and that youtube video is awesome. Only one man is, and ever will be Han Solo. Prepare for Phantom Menace level backlash. Please not Dave Franco...he's cool and all but....no...just no. Anthony Ingruber or I'm not interested. Seriously. Won't happen because he's probably too old, but Michael Fassbender. If Miles Teller & James Franco are on the short list. 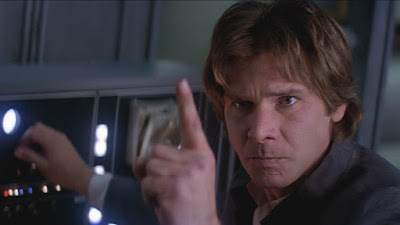 I'm Disney you do not know Han Solo & cancel this movie if that is the best short list you can come up with. Teller & Franco should only do comedies that is all the range they have. Not to mention look nothing like a young Han Solo. It's interesting that, on every site that gives a short list for the solo part, Ingruber isn't mentioned, but then you see a bunch of people in the comments campaigning for him. They guy has a following and the resume for the part. I hope he gets it. Anthony Ingruber or nobody else. Anthony is yoo old now... also.... meh. Not other but Anthony Ingruber. Don't make stupid decisions, Disney. Common sense, please! Anthony Ingruber. He has the resemblance and talent. He is an actor. And he has played young Harrison Ford in a little known film. So, he does more than impersonation. To old? He's 25...I really hope the movie isn't about teen age Han... That would be terrible. Come on Disney, Anthony Ingruber seriously! Some of these choices are awful. Miles Teller?? Seriously? ?